I’m loving June because so far, I feel so happy to see the celebrities featured in the magazines for next month! Plus, two of my girl crushes are also included~ What’s better than a summer spent outside wearing vibrant clothes and enjoying the heat under the sun? Kyaaaaah my darlings! Jin Se-Yeon gets to flaunt off her perfect figure for Arena Homme Plus, December 2012 edition. Love the black and white concept, love the girl too! This time, she’s dabbed with thick make up but that doesn’t hide away her youthful look. 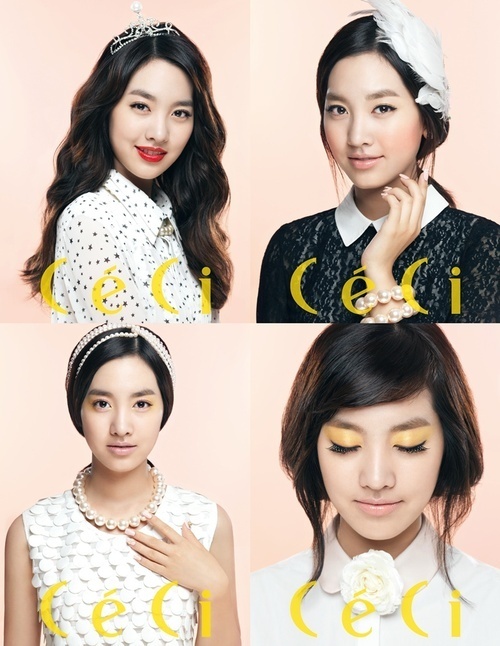 Well…maybe in some shots, she looks a little mature, but after all, she’s still the cute Se Yeon!